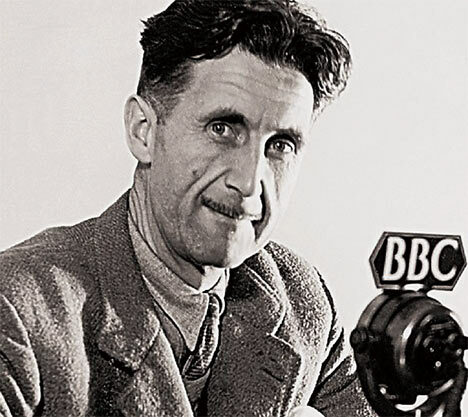 Orwell was once asked by his editor to address the question “why I write.” Orwell, in his typically clear and direct manner, listed a range of reasons, from personal ones such as sheer egotism and aesthetic enthusiasm, to much broader ones of historical impulse and political purpose. Recently, I began to ask myself a related question: “why do I make ethnographic films?” I will follow one of Orwell’s leads as to why he writes (and by extension why I make films)—the sense of enjoyment, aesthetic or otherwise, one derives from creating films. Starting with the mundane and personal, one of the reasons I make films is because it is social and fun. As anyone who has ever slogged through the muddled and tortuous intellectual process of writing a dissertation knows, anthropological research—but more specifically writing—is a lonely (or perhaps, less loaded, “solitary”) endeavor. One almost always writes alone, by oneself, with only intermittent interactions with others. Feedback is frequently limited, and at times difficult to get (as anyone who has ever pestered a reluctant committee member can attest to). If one is lucky, one may have the intermittent (and expensive) help of an editor, but this is usually for quite specific purposes, and in today’s digital world, there is often no actual physical contact with one’s editor. Ethnographic film is frequently (and for those who are successful, almost always) a collaborative, group endeavor. One works throughout the process with cameramen, editors, musicians, producers, other production assistants, not to mention the collaboration and interaction with the subjects of one’s filming, who increasingly may take a role in the production itself. While lonely nights in the editing bay are commonplace, and there are many instances where one has to slog away at transcription and translation of the video material, when compared with the solitary task of the typical ethnographer, ethnographic film is a much, much more interactive and collaborative enterprise, start to finish. Shooting an interview in Indonesia, September 2012. I think this scene from the film American Beauty illustrates this point well. And this is just in the production stage. Throughout the post production/editing stage one is continually thinking “with one’s eyes,” and in the complex puzzle that is an edit, one is thinking cinematically, in that films should, first and foremost, attempt to tell their stories visually (not always an easy task with the subject matter we work with e.g. psychological anthropology). All of these and more come immediately to mind when I think of some of the discrete soundscapes in some of our films. While these would be available and observable in normal fieldwork, the immediacy of the gestalt and context they occurred in would be hard to recapture without the scene itself being recorded on film. In the film Memory of My Face, there is an extended section focused around the extremely voluble, funny, clever (but indisputably manic) verbal outpouring of the main character, Bambang. The footage was shot in a locked ward of a psychiatric hospital in Central Java. While most of the dialogue is (somewhat) intelligible in the film itself, at the time of the conversation/interview I had almost no concept whatsoever of what he was talking about. Untangling and interpreting the half-hour conversation, to produce the short (five minute) scene in the film, took months of interpretation, consultation, exegesis, and analysis. Other aspects of meaning would have been lost if we had not recorded it (and recorded it visually). In addition, some of the analysis only made sense if we included, understood, and interpreted the gestures, gesticulations, postures, and multiple interpersonal contexts in which this conversation (and performance) took place. Music is also another way in which ethnographic film can differ from traditional fieldwork. While most of us find enjoyment, and release, in music throughout our fieldwork, in ethnographic film music can play many roles. Obviously if one is shooting many dramatic, ritual or artistic productions, music plays integral roles. In addition, one must pay attention to music even if it is not the sole, or even main, thing that one is filming in elements such as many performances. Music plays a very important role if you decide to use a score, or a soundtrack, in one’s films. Most of our films use a soundtrack but, for me personally, working with music and soundtracks is one of the most pleasurable aspects of filmmaking. I have been brought to tears on more than one occasion by music we have composed for our films, and the judicious and appropriate use of a score can support, highlight and strengthen the points one is attempting to make in one’s films. One of my favorite scenes, greatly enhanced by the musical score, is from Shadows and Illuminations, where Mr. Kereta and Made Ada, his wife, are reflecting back on his illness and their marital relationships. So whether it is the multiple contexts in which your filming takes place, or it is the specific human, subjective and experiential aspects of the stories themselves, your sense of hearing will be utilized, expanded and sometimes tested in filmmaking in ways that normal fieldwork engages in a much more fragmentary, disjointed, and discontinuous manner. Moving outwards from the sensory expansion that shooting and editing brings, there are other levels of aesthetic and conceptual complexity that makes filmmaking inherently enjoyable. In some ways these parallel the analysis, writeup, and “crafting” of a piece of writing, but there are some fundamental differences that distinguish and separate ethnographic filmmaking. One is in the overall scope of the enterprise. In ethnographic writing one attempts (within the bounds of word or page limits and the audience or venue one is writing for) to write comprehensively, and in great (or at least sufficient) detail. “Thick” description, or in psychological anthropology “experience near” description are the operative terms. Writing is expansive and strives for completeness and holism. Filmmaking is in some ways almost the opposite, engaging of a variation of classic Freudian concept—“Condensation”—where one tries to pack as many multi layered meanings, imagery, symbolism, frameworks, in a scene as possible. One of the joys of being a scholar is to craft meaning and understanding from material where this is not immediately apparent. In filmmaking, you have to do this within a much more restricted space and time than in writing, and being able to layer and pack these meanings in a visual sense, is really one of its pleasures as a scholar. It is also akin to creating a puzzle, and only those “who have eyes to see,” who are knowledgeable or experts in the subject matter you are dealing with, will understand the meaning you are creating. Robert Lemelson is an anthropologist and ethnographic filmmaker whose work focuses on the relationship of culture, psychology and personal experience in Indonesia. He received his M.A. from the University of Chicago and Ph.D. from the department of anthropology at the University of California, Los Angeles. Lemelson’s area of specialty is Southeast-Asian studies, psychological and medical anthropology and transcultural psychiatry. He is currently an adjunct professor of anthropology at UCLA and a research anthropologist in the Semel Institute of Neuroscience at UCLA. He is also the president of the Foundation for Psychocultural Research (the FPR), which funds programs and initiatives at the intersection of the social and neuro sciences. In addition, he is the director of Elemental Productions, a ethnographic and documentary film production company based in Los Angeles. On the negative side, music can interfere in proper sound recording (and one has to request that music be turned down or off when one is shooting certain scenes). Lemelson R. Why I Make Ethnographic Films (Instead of Writing a Monograph…). Somatosphere. 2013. Available at: http://somatosphere.net/2013/why-i-make-ethnographic-films-instead-of-writing-a-monograph.html/. Accessed April 23, 2019. Lemelson, Robert. 2013. Why I Make Ethnographic Films (Instead of Writing a Monograph…). Somatosphere. http://somatosphere.net/2013/why-i-make-ethnographic-films-instead-of-writing-a-monograph.html/ (accessed April 23, 2019).